I adore pagoda umbrellas, and this lace and bows one from the Hilary's Vanity shop on eBay is just too perfect! Imagine yourself romping gaily through a cemetery picnic, clutching this darling umbrella to protect yourself from wind, ran or - horrors - the sun! 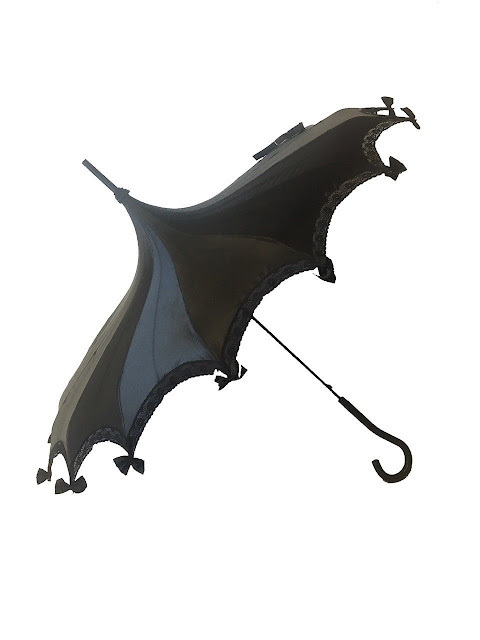 This umbrella is made from satin, and trimmed with lace around the edges. So cute!